Support - Vehicle. Cost: 2. 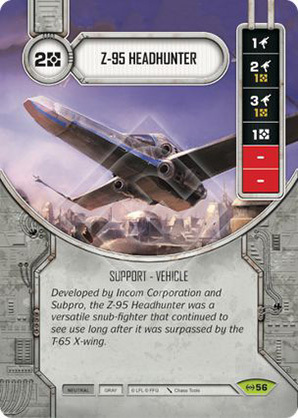 Developed by Incom Corporation and Subpro, the Z-95 Headhunter was a versatile snub-fighter that continued to see use long after it was surpassed by the T-65 X-Wing.